An aide who booked travel and submitted expense vouchers for former Illinois Congressman Aaron Schock testified Wednesday before a federal grand jury investigating allegations of improper spending by the onetime rising Republican star. Sarah Rogers spent a total of five hours in the courthouse, but her attorney, Bill Coffield, said she was not testifying the entire time. Rogers would not answer questions from The Associated Press. Rogers, who was Schock's executive assistant on Capitol Hill, is one of at least six ex-staffers seen at the federal building during grand jury proceedings since the probe of the 33-year-old Peoria politician's spending began last month. Schock, in his fourth term, was considered an emerging GOP power and proved his mettle as a fundraiser. He resigned in March after a series of reports raising questions about travel, improper mileage reimbursements, trips on donors' aircraft, and lavish spending, such as the remodeling of his Capitol office to mimic "Downton Abbey," depicted in the PBS television series. An affidavit from former Schock adviser Benjamin Cole, submitted last week to federal prosecutors and obtained by The Associated Press, indicated that Rogers was "responsible for booking staff travel and submitting travel reimbursement requests for payment." Coffield said Rogers has nothing to fear, despite her former role. "If I had any real concerns, she wouldn't be testifying," he said. He would not comment on the jury's questions, other than to characterize them as covering subjects news media have reported. The affidavit supplemented Cole's May 6 grand jury testimony and detailed an April 2014 flight he took with Schock from Washington, D.C., to Peoria on a private plane. 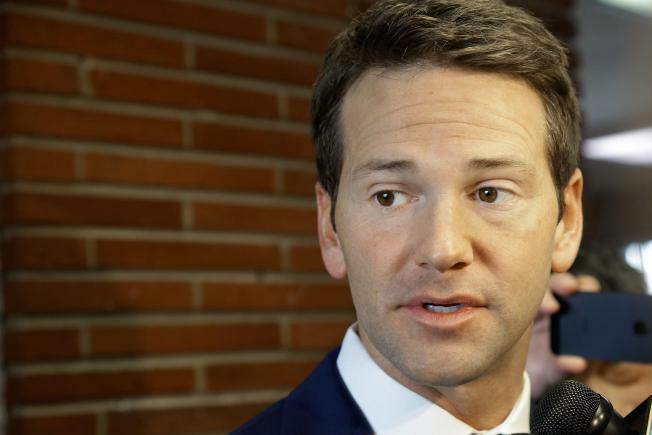 Cole said the trip prompted him in late winter, after media scrutiny had begun, to voice concern to Schock's chief of staff about whether it violated federal election laws or congressional ethics rules. Based on required reporting to the U.S. House speaker, the Justice Department has subpoenaed at least seven former Schock staff members. But grand jury proceedings are secret, and the U.S. attorney's office for Illinois' central district will neither confirm nor deny an investigation. Besides Cole, other staffers seen at the courthouse in May were Schock's personal photographer, Jonathon Link, and the congressman's former district chief of staff, Dayne LaHood. LaHood declined comment. Kelli Ripp, a former Schock legislative assistant, and Margie Almanza, a Washington-based assistant, also arrived and left during May grand jury proceedings. Neither would speak to a reporter before departing in a vehicle driven by Urbana attorney Steven Beckett, who later declined comment. Is Aaron Schock Looking for a Job in Chicago? Among reports about Schock's spending were Associated Press investigations of real estate deals, air travel and spending on entertainment, including events he documented on his Instagram social media account. Politico and other news organizations reported Schock's unusually generous reimbursements for personal auto mileage. The government reported last week that Schock reimbursed taxpayers for $122,590 in expenses, which included $35,000 to an Illinois decorator for the office remodeling; $86,000 for six years' worth of mileage reimbursements; and $1,200 for a commercial flight from Peoria to a Chicago Bears football game.